When people around the world are claiming that women are getting empowered, we will reveal the dark hidden truth to you. Women are no doubt breaking all the societal barriers, around the globe, but unfortunately, there is a long journey still left. There are still some places that are biased towards women by not allowing them entry. In this article of Feeding Trends, we shall list out 5 places where entry of women was or is prohibited. 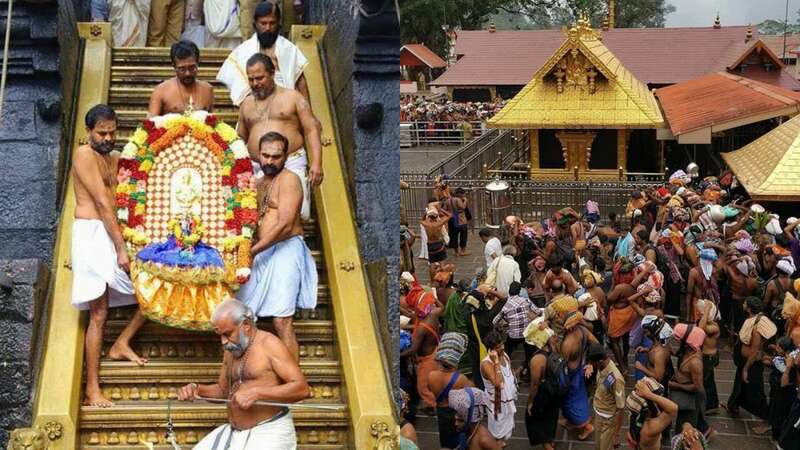 Sabarimala Sree Dharma Sashta temple, popularly known as the Sabarimala temple, is one of the most famous temples in India. This temple Is dedicated to lord Ayyapan, who is believed to be a Harihara Putra. Being born out of the union of Lord Vishnu (in the form of Mohini, Hari) and Lord Shiva (Hara). More than two crore devotees pay a pilgrimage to the temple each year. They keep chanting "Swamy Sharnam Ayyapa" during the pilgrimage. However, this temple made to the headlines recently due to its age-old custom of prohibiting entry of women in the temple. The chief deity, Lord Ayyapan is believed to be a Brahmachari or a celibate for life. This is the reason why there is a ban on the entry of women of age between 10-50 years. On 28th of September, 2018, Supreme Court made a historical judgment. It allowed the entry of women into the temple. Thus, proving itself as the "Custodian of the fundamental rights" of the women. Even after this, conservative people are not letting women into the temple. They claim that this SC judgement is an interference into their religious beliefs. Haji Ali Dargah is a holy shrine for the Muslims situated in the heart of the 'City of lights', Mumbai. It is dedicated to the Sufi Saint Hazrat Haji Ali Shah Bukhari. Marking the cultural brotherhood of various religions of India, this dargah is visited by people of all faiths. Mostly Hindus and Muslims visit the shrine. You will notice high footfall there, especially on Thursdays and Fridays. But, a few years back, women were not allowed to enter the sanctum sanctorum. With the efforts of Bhartiya Muslim Mahila Andolan and Bhumata Brigade, women were allowed to enter the shrine from November 2016. Located about 2 km north of the Barpeta town, Patabausi Satra was established by Srimantha Shankar deva. There too was a ban on the entry of women into the Satra (A Vaishnavite monastery). The reason for the ban on entry of women was that the women who menstruate were considered 'unclean' and were seen as a threat to the purity of the monasteries. Traditionally, women aren't allowed into this temple because of an age-old belief. Worshipers say that when Lord Kartikeya was meditating, Lord Indra got jealous. Lord Indra sent many beautiful Apsaras in order to seduce and distract Lord Karthikey. It is believed that Lord Kartikey got furious and cursed that “Any woman who comes to his place to distract him from his meditation shall turn into stone”. have also put certain restrictions on women. The motive of this article is not to hurt the religious sentiments or nullify the customs of our country, but to speak up for the rights of women. Prevention of entry of women from visiting any religious or non-religious place is against the spirit of the constitution. It goes against Article 14, 15, 19 and 25 of the Indian constitution which deals with the Right to Equality, Right against discrimination based on religion, Freedom of movement and Freedom of religion respectively. From practices like Sati to equal rights, to worship, women have to struggle hard. Supreme court has always been a helping hand and made several revolutionary changes. Still, the fight for equality will not end until the mentality of each individual gets cleaned and unbiased. Painters, photographers, writers, all are invited! Dancing and singing are better genres! Lol!